I was having lunch in a canteen style neighbourhood restaurant the other day and I noticed there was a telenovela on the TV so I asked which one it was. 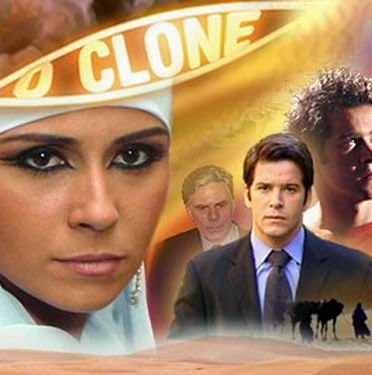 It turns out it was a re-run of O Clone, an all time classic telenovela (soap opera) based in Morocco. The first series’ plot is exceedingly complicated and I struggle to remember it all but in case you are thinking it’s a strange name to give to a soap opera, think again. 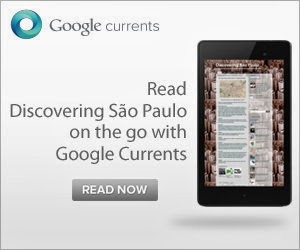 One of the lead brazilian portuguese-speaking arab characters (oh, yes!) is cloned after his death when a close friend clandestinely inseminates Deusa, a lower-middle class woman, with some sort of human cell material derived from one of the other characters! And thus a new character is born who thanks to the introduction of a 10 year timelapse takes a key role in the second series. Great stuff. If you are already hooked see below for a couple of clips from the series, it’s emotional stuff. So much so, it was dubbed and also became a huge hit in non-portuguese speaking South America and apparently arabic phrases were incorporated into the local language amongst followers of the series, quite an anthropological curiosity. One guy who was not so happy was the Morrocan ambassador to Brazil who apparently didn´t appreciate the stereotypical image portrayed of his nation, no idea why he thinks that…. Amazing how they managed to turn Pelourinho's streets into a Moroccan souk, or did they really shoot it in Morocco? Vic, apparently it is mostly shot in Fez, Morocco. I am not a soap opera watcher, even so, there is no doubt that many, if not all, globo-made soap opera series are realistic and much more creative. I remember watching o clone in Lima,Peru, before moving here in '02. My favorite series I somewhat remember are, vale tudo (1988) and selva de pedra (1972) mainly because of their intro themes. Well you certainly have a good memory of the classic telenovelas for somebody who is not a soap opera fan!